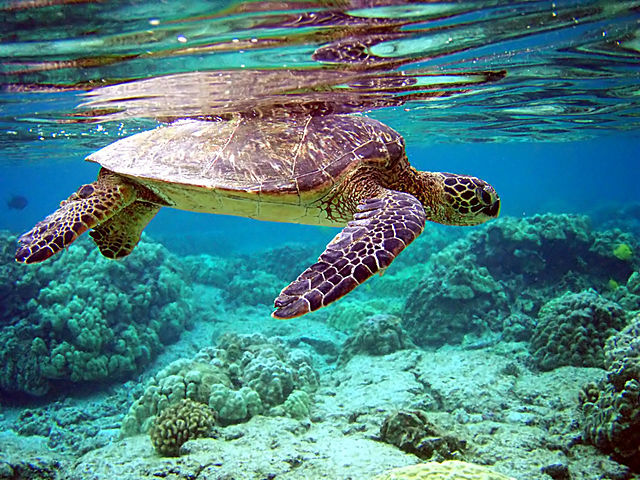 22 May is the International Day for Biodiversity (with a special focus on marine environments) and 23 May is World Turtle Day. The only time I've seen a turtle in the wild was many years ago in the Whitsundays when my partner and I went bare-boating for a week. The scenery and weather were spectacular, and we had a great time even though we managed to run the yacht aground on our first night! (Hint: the tidal range in the Whitsundays can be huge. Luckily, we got stuck in the mangroves and not on coral reefs.) We saw the turtle as we were sailing towards Turtle Bay on Whitsunday Island, appropriately enough. Let's hope both turtles and the Great Barrier Reef are protected for many generations to come.